Classified ads account for only about 5 percent of job openings, so don't spend all of your time answering ads. Devote Sundays to answering ads and planning your strategy for the next week. Don't spend precious weekday hours behind a computer. You need to be out there sourcing leads, networking, interviewing. Read the classifieds from A to Z. Job titles vary from company to company. An administrative assistant at one company might be an information specialist at another. Companies running multiple ads are hiring in general. Send your resume and cover letter to the head of the department you want to work in and indicate you heard there may be an opening. Always address correspondence to the person who has the authority to hire you. Read the classifieds for information on what's hot, what's not. Be an avid classifieds reader and find out who's hiring, for what jobs, at what salaries. Keep a copy of every ad you respond to and every letter you write. If the company calls you, you want to know what you said and why. Be prepared for telephone interviews. They can come unexpectedly and suddenly. So keep your ad file and resume by the phone. Don't be surprised if a recruiter calls you at night or on the weekends. Proofread all correspondence. Spelling and grammatical errors don't fly in corporations. What a shame it would be to be disqualified for poor attention to detail. Apply for every job you're interested in, whether or not you meet all the requirements. Ad copy is a wish list. Employers often don't expect to get everything they ask for. Don't let the lack of a degree get in your way. You're the sum total of all of your experiences. Dig deeper in the classifieds and learn the jargon, skill set, and educational requirements for most jobs, fields, industries. Bypass Personnel. Their job is to screen you out. And they're usually the last to know about an opening. Go to the top. Most unsolicited resumes to senior executives get read. Generally, the bigger they are, the more approachable they are. No response to your resume and cover letter? It doesn't hurt to reapply for the same job. 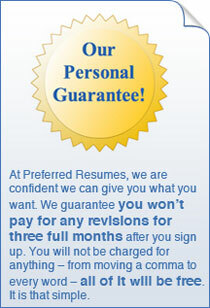 Resumes get lost, misfiled, routed. The best day for classifieds in your local paper is Sunday. The Wall Street Journal features ads in its Monday, Tuesday, and Wednesday editions. The National Business Employment Weekly features ads for jobs all across the United States. Be sure and check out the ads in trade publications and association newsletters also. Beware of blind ads. Companies run blind ads for a variety of reasons. Respond to ones that interest you but be careful, especially if you're still working. You could be responding to your own company. Thinking about relocation? Read the Sunday papers of the cities you're interested in. Most big libraries subscribe to major metropolitan newspapers. Want to work abroad? The "International Jobs" section of The National Business Employment Weekly carries the best leads on international jobs. "Thank you for helping me with my resume and cover letter. Over the past few weeks, I have submitted my documen..."